Have your tumble dryer fixed by a certified engineer. Book online today. Schedule and book your tumble dryer repair session online. A qualified specialist will arrive to correctly diagnose the fault. He will bring his own equipment and common spare parts for the repairs. Your appliance will be tested to check if the problem still persists. 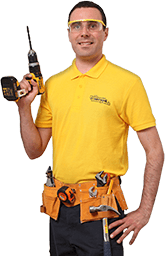 The specialist who will visit your property has all the tools he needs to perform thorough diagnostics, identify the problem at hand, and repair your tumble dryer in a cost-efficient way and with long-term results in mind. Here are some of the malfunctions that the expert can fix. Appliance is not heating up – if the dryer is not heating up or does not do that efficiently, then a faulty thermostat or a thermal fuse inside the appliance may need to be replaced. Appliance is not spinning – this is caused by a faulty dryer drive belt/motor/capacitor or by a seized drum. The expert will tell you which one it is after the diagnostics and take the needed measures to fix the problem. Clothes remain wet – usually, this is caused by some sort of blockage that disrupts the normal airflow. Warped or kinked vent hose is the usual culprit in vented driers, while condenser model owners will experience this problem if condensers get covered in fluff. The service provider with whom we partner offers a 1-year guarantee for all performed dryer repair services, including for any parts that the expert may have installed to fix your appliance. The company purchases most of its spare parts directly from the manufacturers. This means that newly replaced parts will last much longer since they are designed with your model in mind. Your tumble dryer maintenance will cost a fixed sum of money, which includes the pre-service diagnostics, the call outs, and the supply and installation of all common spare parts. No need to visit the hardware store across the street. The expert will bring tools and common parts needed for the job. He can also supply, deliver, and install extra parts. * All prices are fixed and include the call out, diagnostics, repairwork and the installation and supply of common parts provided by the technician. However, sometimes additional parts will need to be ordered. There are no part delivery, supply, or installation fees. Prices are inclusive of VAT. Flat labour cost. Detergents are on top. The services are not charged by the hour. – You will receive a written report upon service completion. If parts need to be ordered, you will receive a price quote for the order and a second visit will be arranged. The second visit will only include the cost of the ordered parts. Do you bring all necessary equipment? Yes, the professional carries all tumble dryer repair essentials. Sometimes, however, some specific parts may need to be ordered, after which the technician will arrive for a second visit to install them. Our partner does not charge for the supply, delivery, and installation of any part. How long will I need to stick around for the repairs? Minor issues will be fixed in about 1 or 2 hours. However, the expert may stay for a while longer depending on how badly damaged the dryer is and on the part that needs replacing. I’m living in the M25 area, will you be able to come? Absolutely! The specialists cover most of the M25 area in London. What else can you offer me besides tumble dryer repairs? Our trusted partner has many years of experience in the field and can share useful maintenance insights on how to extend the lifespan of almost any household appliance. 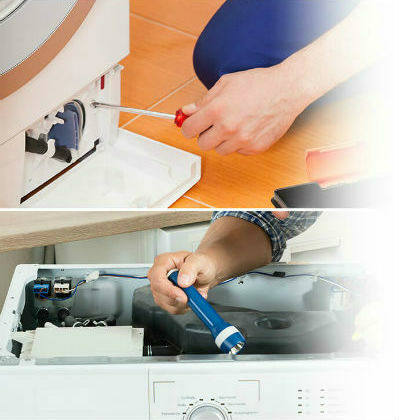 If you need help with the repair of some of these appliances, don't hesitate to book your service now!